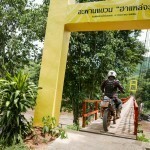 We offer professionally designed and led on and off-pavement motorcycle adventure tours in Asia. 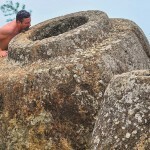 The most popular of our offerings are in Thailand, China, Laos, Myanmar, Borneo, Mongolia and India. For over a decade and hundreds of thousands of kilometers of research, mapping, and designing ultimate motorcycle experiences in Asia, our experience gives the customer the opportunity to maximize their Asian motorcycling adventure. My name is Phillip Gibbins. 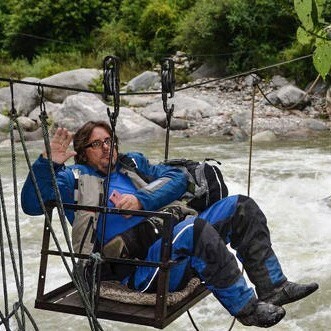 With the assistance of my assembled team of professional tour guides and experienced support personnel, our goal is to provide the customer with the highest degree of motorcycling experience attainable, the unforgettable adventure of a lifetime while on a perfect Asian motorcycle adventure. 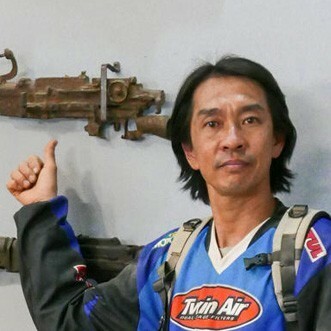 Motorcycle passions coupled with an advanced degree of true adventure seeking are elements that make Asian motorcycling unique. 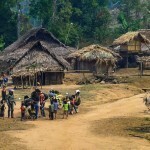 From our long established base in Thailand neighboring countries in the theater of Southeast Asia like China, Laos, Myanmar, Borneo, Cambodia and India we have detailed local knowledge to immerse you in their local culture. 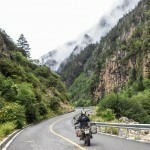 Our uniquely designed motorcycle adventures enable you to experience the lives of the people whose environment you are passing through, not as a tourist but as part of their environment. All of the motorcycles and support equipment used on our tours are rigorously maintained and checked before your adventure begins. A full array of spares and tools are carried with your luggage in our support vehicles. 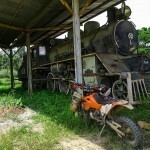 Our home page shows our standard motorcycle tours. 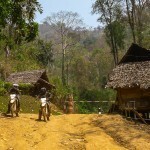 As an option we can design a custom tour for you or your group, whether it be on pavement or dirt trails, anywhere throughout Southeast Asia. “Be the adventure,” is our motorcycle mantra for our customers. 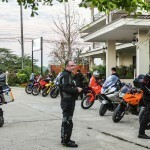 Our tours are unique, offering the serious motorcycle adventure seeker the opportunity to experience their adventure, not simply be a tourist looking at adventure. I was born in the UK & worked in the salt mines of various Wall Street investment banks for 13 years. 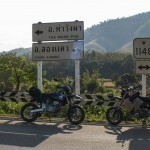 By luck, I managed to "retire" (actually escaped) early & since then, I've spent the last 15 years exploring, mapping & organizing motorcycle tours in Asia. I've probably ridden more KM's in Asia than most people (on & off-road) & our team has clocked up more than 2 million KM's here. One of the most naturally flowing experienced enduro rider's i've ever seen, a champion trials rider & an excellent motorcycle mechanic. What a package. 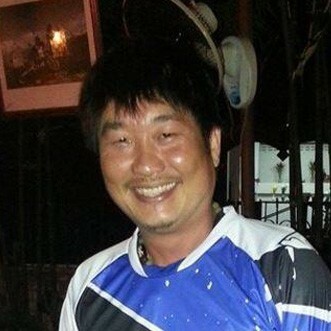 He's a joy to ride with, can you think of a better person to have on our team for motorcycle tours? 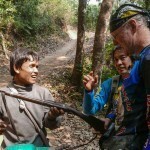 Nop has been riding in north Thailand for 20 years. He's forgotton more about this region than most other people have ever learned. A real character and great rider. All the administration, hotel & restaurant bookings for your tour are handled by this English speaking, wonderful lady. 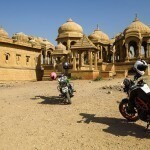 With her extensive motorcycle touring experience throughout Asia, she understands what's important to make your motorcycle tour as enjoyable as possible. 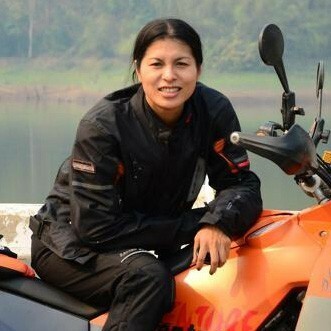 She is a very important member of our team, other tour companies are not set up this way which we've been told gives our Asian motorcycle tours the special edge. 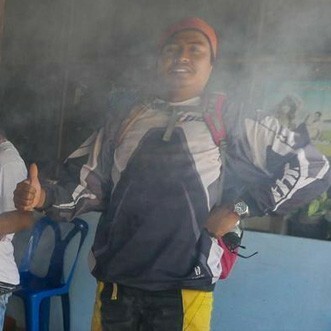 Super cool gentle guy that loves to ride, if you're lucky enough to have him on your tour you've hit the jackpot. Born in the Isle of Man amongst the TT Races you could say Motorcycles are in my blood. At the age of 4 I was lucky enough to get my first Dirtbike and have not looked back since. 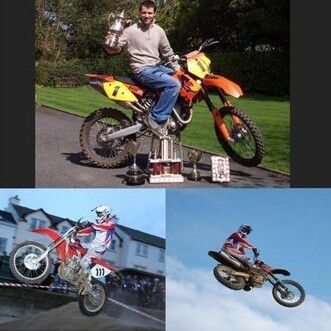 Local success at Motocross led me to compete in the British Youth Championships where I claimed the YSMA UK Super National Expert title in 1997. Over the years Motocross has taken me to Australia, USA, Canada, Europe to compete in National events which has given me great experience. During my time I trained as a Motorcycle Mechanic and have wrenched for Steve Beattie Racing(Canadian Dirt Track and Supermoto Champion). Motocycles are my passion and adventure is what I live for so, what are you waiting for........lets do it!